Fibers of Kalamazoo carries a variety of can liners for your office and industrial uses. 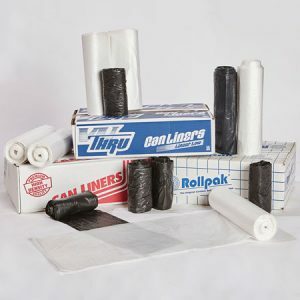 We are sure to have the right size, strength, and quantity of can liners to meet your needs. The team at Fibers of Kalamazoo has the product knowledge and problem solving skills needed to find the right density and gauge can liners! In need of additional supplies? Check out our chemicals, paper products, and other janitorial supplies. We also carry gloves and other safety products to keep you and your employees safe while handling trash and refuse. Fill out the form below or contact us today for more information. 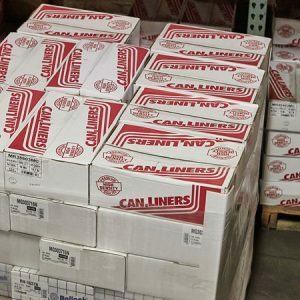 Our knowledgeable sales staff is eager to find the best can liners and janitorial products for your organization!